See the difference...Feel the difference...with Thyrin-ATC. Underactive thyroid function, caused by crash diets or unbalanced diet programs, can slow your metabolism and make losing weight almost impossible. 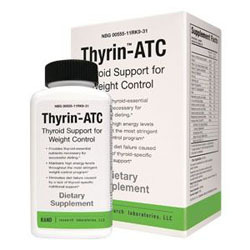 With your help we can reach more people and let them know about Thyrin ATC whether this product works or not.